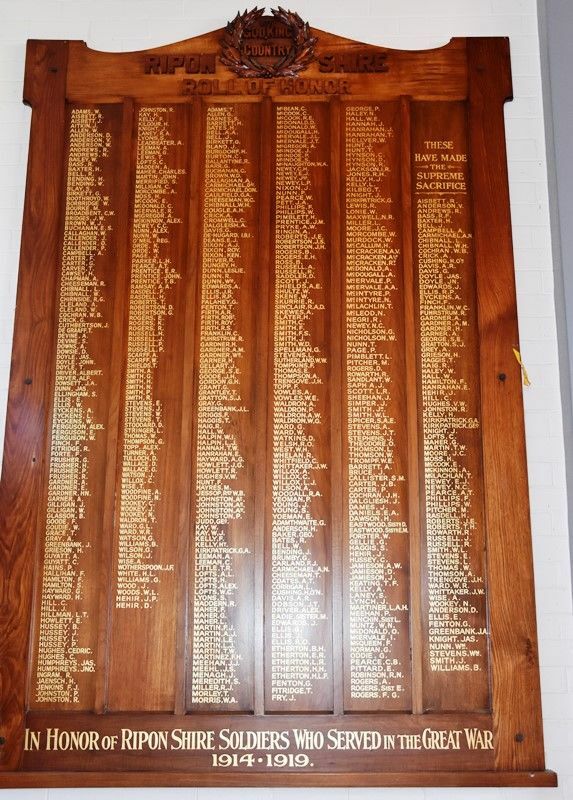 In October 1918, the roll contained the names of 514 individuals. Of the men who enlisted 69 had been killed or died of illness and 4 had been taken prisoner. 15 of the soldiers on the roll had been awarded decorations for bravery in the field. The Argus, Melbourne, 1st October 1918.